Support Magee's Wheelchair Sports Program during Philadelphia Marathon weekend, November 16-18, 2018! 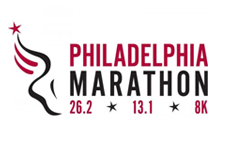 Magee is an official charity partner of the Philadelphia Marathon. Participate in Philadelphia Marathon weekend with Magee to support Magee's Wheelchair Sports Program of wheelchair racing, basketball, tennis and rugby. Click here for Holman Employee's Marathon Registration. Supporting Magee's wheelchair sports teams. Everyone can support Magee by sponsoring one or more of the Team Magee runners. If you want to be part of Team Magee, but do not want to run, join the Let Them Run Team. Make a gift of $26.20 ($1 for every mile in a Full Marathon) to support the runners of Team Magee! To participate in the Marathon (half or full) or Rothman 8K with Magee, contact giving@mageerehab.org or 215-587-3145. Magee will take care of your race registration. For official race information, including registration, course maps, past marathon results, visit philadelphiamarathon.com. Magee Rehabilitation has a long history of supporting the local community of individuals with disabilities. Magee's Wheelchair Sports Program heightens independence and improves quality-of-life. Getting involved with Magee's wheelchair sports program helps people with disabilities reach for personal health and wellness goals. The Wheelchair Sports Program also allows the participant to experience the enjoyment and excitement of competing. Magee athletes have competed in regional, national and international sports events, including the Paralympics. Although some of our athletes compete at an elite level, Magee welcomes all individuals with disabilities who are looking for a recreational outlet. The overall goal of the entire program is to improve quality of life by emphasizing a healthy lifestyle through regular physical fitness activities. A hand-cycle was provided for athlete use by the IM ABLE Foundation.